Use the Toolbar at the top of the window to view or hide panels. 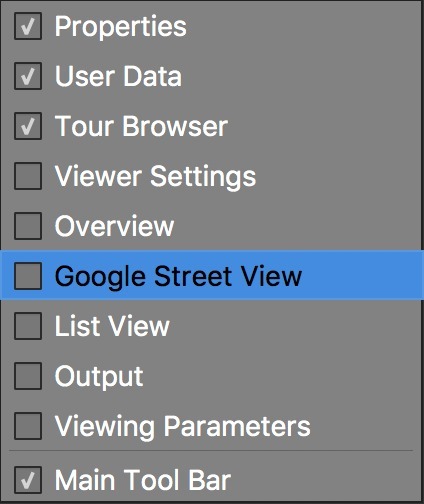 Click the input button to add panoramas via a dialog. You can also drag panoramas onto the Viewer to add them to the project. A context menu is also available, giving you another way to add the panels or to hide the toolbar. Right-click in the Toolbar or any panel header to bring up the menu.